The debate over the atomic bombings of Hiroshima and Nagasaki concerns the ethical, legal, and military controversies surrounding the atomic bombings of Hiroshima and Nagasaki on 6 August and 9 August 1945 at the close of World War II (1939–45). The Soviet Union declared war on Japan on 8 August and invaded Manchuria on 9 August; Japan surrendered on 15 August. On 26 July 1945, United States President Harry S. Truman, United Kingdom Prime Minister Winston Churchill, and Chairman of the Chinese Nationalist Government Chiang Kai-shek issued the Potsdam Declaration, which outlined the terms of surrender for the Empire of Japan as agreed upon at the Potsdam Conference. This ultimatum stated if Japan did not surrender, it would face "prompt and utter destruction". Some debaters focus on the presidential decision-making process, and others on whether or not the bombings were the proximate cause of Japanese surrender. Over the course of time, different arguments have gained and lost support as new evidence has become available and as new studies have been completed. However, a primary and continuing focus has been on the role of the bombings in Japan's surrender and the U.S.'s justification for them based upon the premise that the bombings precipitated the surrender. This remains the subject of both scholarly and popular debate. In 2005, for example, in an overview of historiography about the matter, J. Samuel Walker wrote, "the controversy over the use of the bomb seems certain to continue." Walker stated, "The fundamental issue that has divided scholars over a period of nearly four decades is whether the use of the bomb was necessary to achieve victory in the war in the Pacific on terms satisfactory to the United States." Supporters of the bombings generally assert that they caused the Japanese surrender, preventing massive casualties on both sides in the planned invasion of Japan: Kyūshū was to be invaded in October 1945 and Honshū five months later. It was thought Japan would not surrender unless there was an overwhelming demonstration of destructive capability. Those who oppose the bombings argue it was militarily unnecessary, inherently immoral, a war crime, or a form of state terrorism. (2) Coronet—the invasion of the main island, Honshū. Those who argue in favor of the decision to drop the atomic bombs on enemy targets believe massive casualties on both sides would have occurred in Operation Downfall, the planned invasion of Japan. The bulk of the force invading Japan would be American although the British Commonwealth would contribute three divisions of troops (one each from the United Kingdom, Canada, and Australia). The U.S. anticipated losing many combatants in Downfall, although the number of expected fatalities and wounded is subject to some debate. U.S. President Harry S. Truman stated in 1953 he had been advised U.S. casualties could range from 250,000 to one million combatants. Assistant Secretary of the Navy Ralph Bard, a member of the Interim Committee on atomic matters, stated that while meeting with Truman in the summer of 1945 they discussed the bomb's use in the context of massive combatant and non-combatant casualties from invasion, with Bard raising the possibility of a million Allied combatants being killed. As Bard opposed using the bomb without warning Japan first, he cannot be accused of exaggerating casualty expectations to justify the bomb's use, and his account is evidence that Truman was aware of, and government officials discussed, the possibility of one million deaths or casualties. A quarter of a million is roughly the level the Joint War Plans Committee, in its paper prepared for Truman's 18 June meeting, had estimated (JWPC 369/1). A review of documents from the Truman Library shows Truman's initial draft response to the query describes Marshall only as saying "one quarter of a million would be the minimum". The "as much as a million" phrase was added to the final draft by Truman's staff, so as not to appear to contradict an earlier statement given in a published article by Stimson (former Secretary of War). In a study done by the Joint Chiefs of Staff in April 1945, the figures of 7.45 casualties per 1,000 man-days and 1.78 fatalities per 1,000 man-days were developed. This implied the two planned campaigns to conquer Japan would cost 1.6 million U.S. casualties, including 380,000 dead. A later study (JWPC 369/1, June 15, 1945) by the Joint War Plans Committee, which provided planning information to the Joint Chiefs of Staff, estimated an invasion of Japan would result in 40,000 U.S. dead and 150,000 wounded. 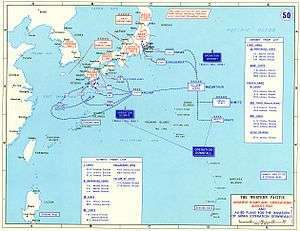 Delivered on June 15, 1945, after insight gained from the Battle of Okinawa, the study noted Japan's inadequate defenses resulting from a very effective sea blockade and the American firebombing campaign. Generals George C. Marshall and Douglas MacArthur signed documents agreeing with the Joint War Plans Committee estimate. In addition, a large number of Japanese combatant and non-combatant casualties were expected as a result of such actions. Contemporary estimates of Japanese deaths from an invasion of the Home Islands range from several hundreds of thousands to as high as ten million. General MacArthur's staff provided an estimated range of American deaths depending on the duration of the invasion, and also estimated a 22:1 ratio of Japanese to American deaths. From this, a low figure of somewhat more than 200,000 Japanese deaths can be calculated for a short invasion of two weeks, and almost three million Japanese deaths if the fighting lasted four months. A widely cited estimate of five to ten million Japanese deaths came from a study by William Shockley and Quincy Wright; the upper figure was used by Assistant Secretary of War John J. McCloy, who characterized it as conservative. Some 400,000 additional Japanese deaths might have occurred in the expected Soviet invasion of Hokkaido, the northernmost of Japan's main islands, although the Soviets lacked the naval capability to invade the Japanese home islands, let alone to take Hokkaido. An Air Force Association webpage states that "Millions of women, old men, and boys and girls had been trained to resist by such means as attacking with bamboo spears and strapping explosives to their bodies and throwing themselves under advancing tanks." The AFA noted that "[t]he Japanese cabinet had approved a measure extending the draft to include men from ages fifteen to sixty and women from seventeen to forty-five (an additional 28 million people)". The great loss of life during the battle of Iwo Jima and other Pacific islands gave U.S. leaders a clear picture of the casualties that would happen with a mainland invasion. Of the 22,060 Japanese combatants entrenched on Iwo Jima, 21,844 died either from fighting or by ritual suicide. Only 216 Japanese POWs were held at the hand of the Americans during the battle. According to the official Navy Department Library website, "The 36-day (Iwo Jima) assault resulted in more than 26,000 American casualties, including 6,800 dead" with 19,217 wounded. To put this into context, the 82-day Battle of Okinawa lasted from early April until mid-June 1945 and U.S. casualties (out of five Army and two Marine divisions) were above 62,000, of which more than 12,000 were killed or missing. The U.S. military had nearly 500,000 Purple Heart medals manufactured in anticipation of potential casualties from the planned invasion of Japan. To date, all American military casualties of the 60 years following the end of World War II, including the Korean and Vietnam Wars, have not exceeded that number. In 2003, there were still 120,000 of these Purple Heart medals in stock. Because of the number available, combat units in Iraq and Afghanistan were able to keep Purple Hearts on hand for immediate award to wounded soldiers on the field. Supporters of the bombings argue waiting for the Japanese to surrender would also have cost lives. "For China alone, depending upon what number one chooses for overall Chinese casualties, in each of the ninety-seven months between July 1937 and August 1945, somewhere between 100,000 and 200,000 persons perished, the vast majority of them noncombatants. For the other Asian states alone, the average probably ranged in the tens of thousands per month, but the actual numbers were almost certainly greater in 1945, notably due to the mass death in a famine in Vietnam. Historian Robert P. Newman concluded that each month that the war continued in 1945 would have produced the deaths of 'upwards of 250,000 people, mostly Asian but some Westerners.'" The end of the war limited the expansion of the Japanese controlled Vietnamese famine of 1945, stopping it at 1-2 million deaths and also liberated millions of Allied prisoners of war and civilian laborers working in harsh conditions under a forced mobilization. In the Dutch East Indies, there was a "forced mobilization of some 4 million—although some estimates are as high as 10 million—romusha (manual laborers) ... About 270,000 romusha were sent to the Outer Islands and Japanese-held territories in Southeast Asia, where they joined other Asians in performing wartime construction projects. At the end of the war, only 52,000 were repatriated to Java." Supporters also point to an order given by the Japanese War Ministry on August 1, 1944, ordering the execution of Allied POWs, "when an uprising of large numbers cannot be suppressed without the use of firearms" or when the POW camp was in the combat zone, in fear that "escapees from the camp may turn into a hostile fighting force". The firebombing of Tokyo alone killed 100,000 civilians on the night of March 9–10, 1945, causing more civilian death and destruction than the atomic bombs dropped on Hiroshima and Nagasaki. A total of 350,000 civilians died in the incendiary raids on 67 Japanese cities. Because the United States Army Air Forces wanted to use its fission bombs on previously undamaged cities in order to have accurate data on nuclear-caused damage, Kokura, Hiroshima, Nagasaki, and Niigata were preserved from conventional bombing raids. Otherwise, they would all have been firebombed. Intensive conventional bombing would have continued or increased prior to an invasion. The submarine blockade and the United States Army Air Forces's mining operation, Operation Starvation, had effectively cut off Japan's imports. A complementary operation against Japan's railways was about to begin, isolating the cities of southern Honshū from the food grown elsewhere in the Home Islands. "Immediately after the defeat, some estimated that 10 million people were likely to starve to death", noted historian Daikichi Irokawa. Meanwhile, fighting continued in the Philippines, New Guinea and Borneo, and offensives were scheduled for September in southern China and Malaya. The Soviet invasion of Manchuria had, in the week before the surrender, caused over 80,000 deaths. If the atomic bomb had not been used, evidence like that I have cited points to the practical certainty that there would have been many more months of death and destruction on an enormous scale. If a means is justified by an end, the use of the atomic bomb was justified for it brought Japan to her knees and ended the horrible war. If the war had gone longer, without the use of the atomic bomb, how many thousands and thousands of helpless men, women and children would have needlessly died and suffered ...? We were going after military targets. No point in slaughtering civilians for the mere sake of slaughter. Of course there is a pretty thin veneer in Japan, but the veneer was there. It was their system of dispersal of industry. All you had to do was visit one of those targets after we'd roasted it, and see the ruins of a multitude of houses, with a drill press sticking up through the wreckage of every home. The entire population got into the act and worked to make those airplanes or munitions of war ... men, women, children. We knew we were going to kill a lot of women and kids when we burned [a] town. Had to be done. For six months prior to the use of nuclear weapons in combat, the United States Army Air Forces under LeMay's command undertook a major strategic bombing campaign against Japanese cities through the use of incendiary bombs, destroying 67 cities and killing an estimated 350,000 civilians. The Operation Meetinghouse raid on Tokyo on the night of 9/10 March 1945 stands as the deadliest air raid in human history, killing 100,000 civilians and destroying 16 square miles of the city that night, which caused more civilian deaths and damage to urbanized land than any other single air attack, including the atomic bombings of Hiroshima and Nagasaki combined. The entire population of Japan is a proper military target ... There are no civilians in Japan. We are making war and making it in the all-out fashion which saves American lives, shortens the agony which war is and seeks to bring about an enduring peace. We intend to seek out and destroy the enemy wherever he or she is, in the greatest possible numbers, in the shortest possible time. Supporters of the bombings have emphasized the strategic significance of the targets. Hiroshima was used as headquarters of the Second General Army and Fifth Division, which commanded the defense of southern Japan with 40,000 combatants stationed in the city. The city was also a communication center, an assembly area for combatants, a storage point, and had major industrial factories and workshops as well, and its air defenses was comprised with five batteries of 7-cm and 8-cm (2.8 and 3.1 inch) anti-aircraft guns. Nagasaki was of great wartime importance because of its wide-ranging industrial activity, including the production of ordnance, warships, military equipment, and other war material. The city's air defenses was comprised with four batteries of 7 cm (2.8 in) anti-aircraft guns and two searchlight batteries. An estimated 110,000 people were killed in the atomic bombings, including 20,000 Japanese combatants and 20,000 Korean slave laborers in Hiroshima and 23,145–28,113 Japanese factory workers, 2,000 Korean slave laborers, and 150 Japanese combatants in Nagasaki. On 30 June 2007, Japan's defense minister Fumio Kyūma said the dropping of atomic bombs on Japan by the United States during World War II was an inevitable way to end the war. Kyūma said: "I now have come to accept in my mind that in order to end the war, it could not be helped (shikata ga nai) that an atomic bomb was dropped on Nagasaki and that countless numbers of people suffered great tragedy." Kyūma, who is from Nagasaki, said the bombing caused great suffering in the city, but he does not resent the U.S. because it prevented the Soviet Union from entering the war with Japan. Kyūma's comments were similar to those made by Emperor Hirohito when, in his first ever press conference given in Tokyo in 1975, he was asked what he thought of the bombing of Hiroshima, and answered: "It's very regrettable that nuclear bombs were dropped and I feel sorry for the citizens of Hiroshima but it couldn't be helped (shikata ga nai) because that happened in wartime." In early July 1945, on his way to Potsdam, Truman had re-examined the decision to use the bomb. In the end, he made the decision to drop the atomic bombs on strategic cities. His stated intention in ordering the bombings was to save American lives, to bring about a quick resolution of the war by inflicting destruction, and instilling fear of further destruction, sufficient to cause Japan to surrender. In his speech to the Japanese people presenting his reasons for surrender on August 15, the Emperor referred specifically to the atomic bombs, stating if they continued to fight it would result in "an ultimate collapse and obliteration of the Japanese nation". Commenting on the use of the atomic bomb, then-U.S. Secretary of War Henry L. Stimson stated, "The atomic bomb was more than a weapon of terrible destruction; it was a psychological weapon." The Japanese code of bushido—'the way of the warrior'—was deeply ingrained. The concept of Yamato-damashii equipped each soldier with a strict code: never be captured, never break down, and never surrender. Surrender was dishonorable. Each soldier was trained to fight to the death and was expected to die before suffering dishonor. Defeated Japanese leaders preferred to take their own lives in the painful samurai ritual of seppuku (called hara kiri in the West). Warriors who surrendered were not deemed worthy of regard or respect. The intercepts of Japanese Imperial Army and Navy messages disclosed without exception that Japan's armed forces were determined to fight a final Armageddon battle in the homeland against an Allied invasion. The Japanese called this strategy Ketsu Go (Operation Decisive). It was founded on the premise that American morale was brittle and could be shattered by heavy losses in the initial invasion. American politicians would then gladly negotiate an end to the war far more generous than unconditional surrender. also hoped that if they could hold out until the ground invasion of Japan began, they would be able to inflict so many casualties on the Allies that Japan still might win some sort of negotiated settlement. The "hawks" consisted of General Korechika Anami, General Yoshijirō Umezu, and Admiral Soemu Toyoda and were led by Anami. The "doves" consisted of Prime Minister Kantarō Suzuki, Naval Minister Mitsumasa Yonai, and Minister of Foreign Affairs Shigenori Tōgō and were led by Togo. Under special permission of Hirohito, the president of the Privy council, Hiranuma Kiichirō, was also a member of the imperial conference. For him, the preservation of the kokutai implied not only the Imperial institution but also the Emperor's reign. Japan had an example of unconditional surrender in the German Instrument of Surrender. On 26 July, Truman and other allied leaders - except the Soviet Union - issued the Potsdam Declaration outlining terms of surrender for Japan. The declaration stated, "The alternative for Japan is prompt and utter destruction." It was not accepted, though there is debate on Japan's intentions. The Emperor, who was waiting for a Soviet reply to Japanese peace feelers, made no move to change the government position. In the PBS documentary "Victory in the Pacific" (2005), broadcast in the American Experience series, historian Donald Miller argues, in the days after the declaration, the Emperor seemed more concerned with moving the Imperial Regalia of Japan to a secure location than with "the destruction of his country". This comment is based on declarations made by the Emperor to Kōichi Kido on 25 and 31 July 1945, when he ordered the Lord Keeper of the Privy Seal of Japan to protect "at all cost" the Imperial Regalia. It has sometimes been argued Japan would have surrendered if simply guaranteed the Emperor would be allowed to continue as formal head of state. However, Japanese diplomatic messages regarding a possible Soviet mediation—intercepted through Magic, and made available to Allied leaders—have been interpreted by some historians to mean, "the dominant militarists insisted on preservation of the old militaristic order in Japan, the one in which they ruled." On 18 and 20 July 1945, Ambassador Sato cabled to Foreign Minister Togo, strongly advocating that Japan accept an unconditional surrender provided that the U.S. preserved the imperial house (keeping the emperor). On 21 July, in response, Togo rejected the advice, saying that Japan would not accept an unconditional surrender under any circumstance. Togo then said that, "Although it is apparent that there will be more casualties on both sides in case the war is prolonged, we will stand as united against the enemy if the enemy forcibly demands our unconditional surrender." They also faced potential death sentences in trials for Japanese war crimes if they surrendered. This was also what occurred in the International Military Tribunal for the Far East and other tribunals. Notes made by one of Stimson's aides indicate that there was a discussion of atomic bombs, but there is no mention of any protest on Eisenhower's part. Maddox also wrote, "Even after both bombs had fallen and Russia entered the war, Japanese militants insisted on such lenient peace terms that moderates knew there was no sense even transmitting them to the United States. Hirohito had to intervene personally on two occasions during the next few days to induce hardliners to abandon their conditions." "That they would have conceded defeat months earlier, before such calamities struck, is far-fetched to say the least." Some argue that the fact that after the triple shock of the Soviet intervention and two atomic bombs, the Japanese cabinet was still deadlocked and incapable of deciding upon a course of action is telling both of the power of the Army and naval factions in the cabinet, and of their unwillingness to even consider surrender. Even following the personal intervention of the emperor to break the deadlock in favour of surrender, there were no less than three separate coup attempts by senior Japanese officers to try to prevent the surrender and take the Emperor into 'protective custody'. Once these coup attempts had failed, senior leaders of the air force and Navy ordered bombing and kamikaze raids on the U.S. fleet (in which some Japanese generals personally participated) to try to derail any possibility of peace. It is clear from these accounts that while many in the civilian government knew the war could not be won, the power of the military in the Japanese government kept surrender from even being considered as a real option prior to the two atomic bombs. Another argument is that it was the Soviet declaration of war in the days between the bombings that caused the surrender. After the war, Admiral Soemu Toyoda said, "I believe the Russian participation in the war against Japan rather than the atom bombs did more to hasten the surrender." Prime Minister Suzuki also declared that the entry of the USSR into the war made "the continuance of the war impossible". Upon hearing news of the event from Foreign Minister Togo, Suzuki immediately said, "Let us end the war", and agreed to finally convene an emergency meeting of the Supreme Council with that aim. The official British history, The War Against Japan, also writes the Soviet declaration of war "brought home to all members of the Supreme Council the realization that the last hope of a negotiated peace had gone and there was no alternative but to accept the Allied terms sooner or later". The "one condition" faction, led by Togo, seized on the bombing as decisive justification of surrender. Kōichi Kido, one of Emperor Hirohito's closest advisers, stated, "We of the peace party were assisted by the atomic bomb in our endeavor to end the war." Hisatsune Sakomizu, the chief Cabinet secretary in 1945, called the bombing "a golden opportunity given by heaven for Japan to end the war". “ Moreover, the enemy has begun to employ a new and most cruel bomb, the power of which to do damage is, indeed, incalculable, taking the toll of many innocent lives. Should We continue to fight, not only would it result in an ultimate collapse and obliteration of the Japanese nation, but also it would lead to the total extinction of human civilization. Truman felt that the effects of Japan witnessing a failed test would be too great of a risk to arrange such a demonstration. Assistant Secretary Bard was convinced that a standard bombardment and naval blockade would be enough to force Japan into surrendering. Even more, he had seen signs for weeks that the Japanese were actually already looking for a way out of the war. His idea was for the United States to tell the Japanese about the bomb, the impending Soviet entry into the war, and the fair treatment that citizens and the Emperor would receive at the coming Big Three conference. Before the bombing occurred, Bard pleaded with Truman to neither drop the bombs (at least not without warning the population first) nor to invade the entire country, proposing to stop the bloodshed. This conclusion assumed conventional fire bombing would have continued, with ever-increasing numbers of B-29s, and a greater level of destruction to Japan's cities and population. One of Nitze's most influential sources was Prince Fumimaro Konoe, who responded to a question asking whether Japan would have surrendered if the atomic bombs had not been dropped by saying resistance would have continued through November or December, 1945. Historians such as Bernstein, Hasegawa, and Newman have criticized Nitze for drawing a conclusion they say went far beyond what the available evidence warranted, in order to promote the reputation of the Air Force at the expense of the Army and Navy. Stephen Peter Rosen of Harvard believes that a submarine blockade would have been sufficient to force Japan to surrender. On the basis of available evidence, however, it is clear that the two atomic bombs ... alone were not decisive in inducing Japan to surrender. Despite their destructive power, the atomic bombs were not sufficient to change the direction of Japanese diplomacy. The Soviet invasion was. Without the Soviet entry in the war, the Japanese would have continued to fight until numerous atomic bombs, a successful allied invasion of the home islands, or continued aerial bombardments, combined with a naval blockade, rendered them incapable of doing so. Ward Wilson wrote that "after Nagasaki was bombed only four major cities remained which could readily have been hit with atomic weapons", and that the Japanese Supreme Council did not bother to convene after the atomic bombings because they were barely more destructive than previous bombings. He wrote that instead, the Soviet declaration of war and invasion of Manchuria and Sakhalin Island removed Japan's last diplomatic and military options for negotiating a conditional surrender, and this is what prompted Japan's surrender. He wrote that attributing Japan's surrender to a "miracle weapon", instead of start of the Russian invasion, saved face for Japan and enhanced the United States' world standing. Nowhere is this troubled sense of responsibility more acute, and surely nowhere has it been more prolix, than among those who participated in the development of atomic energy for military purposes. ... In some sort of crude sense which no vulgarity, no humor, no over-statement can quite extinguish, the physicists have known sin; and this is a knowledge which they cannot lose. Let me say only this much to the moral issue involved: Suppose Germany had developed two bombs before we had any bombs. And suppose Germany had dropped one bomb, say, on Rochester and the other on Buffalo, and then having run out of bombs she would have lost the war. Can anyone doubt that we would then have defined the dropping of atomic bombs on cities as a war crime, and that we would have sentenced the Germans who were guilty of this crime to death at Nuremberg and hanged them? If the United States were to be the first to release this new means of indiscriminate destruction upon mankind, she would sacrifice public support throughout the world, precipitate the race for armaments, and prejudice the possibility of reaching an international agreement on the future control of such weapons. Combatant and noncombatant men and women, old and young, are massacred without discrimination by the atmospheric pressure of the explosion, as well as by the radiating heat which result therefrom. Consequently there is involved a bomb having the most cruel effects humanity has ever known ... The bombs in question, used by the Americans, by their cruelty and by their terrorizing effects, surpass by far gas or any other arm, the use of which is prohibited. Japanese protests against U.S. desecration of international principles of war paired the use of the atomic bomb with the earlier firebombing, which massacred old people, women and children, destroying and burning down Shinto and Buddhist temples, schools, hospitals, living quarters, etc ... They now use this new bomb, having an uncontrollable and cruel effect much greater than any other arms or projectiles ever used to date. This constitutes a new crime against humanity and civilization. Selden concludes, despite the war crimes committed by the Empire of Japan, nevertheless, "the Japanese protest correctly pointed to U.S. violations of internationally accepted principles of war with respect to the wholesale destruction of populations". In 1963, the bombings were the subject of a judicial review in Ryuichi Shimoda et al. v. The State. On the 22nd anniversary of the attack on Pearl Harbor, the District Court of Tokyo declined to rule on the legality of nuclear weapons in general, but found, "the attacks upon Hiroshima and Nagasaki caused such severe and indiscriminate suffering that they did violate the most basic legal principles governing the conduct of war." "If we'd lost the war, we'd all have been prosecuted as war criminals." And I think he's right. He, and I'd say I, were behaving as war criminals. LeMay recognized that what he was doing would be thought immoral if his side had lost. But what makes it immoral if you lose and not immoral if you win? As the first combat use of nuclear weapons, the bombings of Hiroshima and Nagasaki represent to some the crossing of a crucial barrier. Peter Kuznick, director of the Nuclear Studies Institute at American University, wrote of President Truman: "He knew he was beginning the process of annihilation of the species." Kuznick said the atomic bombing of Japan "was not just a war crime; it was a crime against humanity." It is said that the descendants of the atomic bomb survivors will have to be monitored for several generations to clarify the genetic impact, which means that the descendants will live in anxiety for [decades] to come ... with their colossal power and capacity for slaughter and destruction, nuclear weapons make no distinction between combatants and non-combatants or between military installations and civilian communities ... The use of nuclear weapons ... therefore is a manifest infraction of international law. Although bombings do not meet the definition of genocide, some consider that this definition is too strict, and these bombings do represent a genocide. For example, University of Chicago historian Bruce Cumings states there is a consensus among historians to Martin Sherwin's statement "the Nagasaki bomb was gratuitous at best and genocidal at worst". The scholar R. J. Rummel instead extends the definition of genocide to what he calls democide, and includes the major part of deaths from the atom bombings in these. His definition of democide includes not only genocide, but also an excessive killing of civilians in war, to the extent this is against the agreed rules for warfare; he argues the bombings of Hiroshima and Nagasaki were war crimes, and thus democide. Rummel quotes among others an official protest from the US government in 1938 to Japan, for its bombing of Chinese cities: "The bombing of non-combatant populations violated international and humanitarian laws." He also considers excess deaths of civilians in conflagrations caused by conventional means, such as in Tokyo, as acts of democide. In 1967, Noam Chomsky described the atomic bombings as "among the most unspeakable crimes in history". Chomsky pointed to the complicity of the American people in the bombings, referring to the bitter experiences they had undergone prior to the event as the cause for their acceptance of its legitimacy. The ... use of nuclear weapons in Hiroshima and Nagasaki was illegal in the light of the principles and rules of International Humanitarian Law applicable in armed conflicts, since the bombing of both cities, made civilians the object of attack, using nuclear weapons that were incapable of distinguishing between civilians and military targets and consequently, caused unnecessary suffering to the civilian survivors. Historical accounts indicate the decision to use the atomic bombs was made in order to provoke a surrender of Japan by use of an awe-inspiring power. These observations have caused Michael Walzer to state the incident was an act of "war terrorism: the effort to kill civilians in such large numbers that their government is forced to surrender. Hiroshima seems to me the classic case." This type of claim eventually prompted historian Robert P. Newman, a supporter of the bombings, to say "there can be justified terror, as there can be just wars". 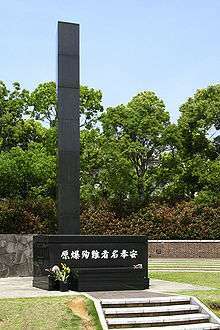 Certain scholars and historians have characterized the atomic bombings of Japan as a form of "state terrorism". This interpretation is based on a definition of terrorism as "the targeting of innocents to achieve a political goal". As Frances V. Harbour points out, the meeting of the Target Committee in Los Alamos on 10 and 11 May 1945 suggested targeting the large population centers of Kyoto or Hiroshima for a "psychological effect" and to make "the initial use sufficiently spectacular for the importance of the weapon to be internationally recognized". As such, Professor Harbour suggests the goal was to create terror for political ends both in and beyond Japan. However, Burleigh Taylor Wilkins believes it stretches the meaning of "terrorism" to include wartime acts. Historian Howard Zinn wrote that the bombings were terrorism. Zinn cites the sociologist Kai Erikson who said that the bombings could not be called "combat" because they targeted civilians. Just War theorist Michael Walzer said that while taking the lives of civilians can be justified under conditions of 'supreme emergency', the war situation at that time did not constitute such an emergency. Tony Coady, Frances V. Harbour, and Jamal Nassar also view the targeting of civilians during the bombings as a form of terrorism. Nassar classifies the atomic bombings as terrorism in the same vein as the firebombing of Tokyo, the firebombing of Dresden, and the Holocaust. Richard A. Falk, professor Emeritus of International Law and Practice at Princeton University has written in detail about Hiroshima and Nagasaki as instances of state terrorism. He said that "the explicit function of the attacks was to terrorize the population through mass slaughter and to confront its leaders with the prospect of national annihilation". Author Steven Poole said that the "people killed by terrorism" are not the targets of the intended terror effect. He said that the atomic bombings were "designed as an awful demonstration" aimed at Stalin and the government of Japan. Alexander Werth, historian and BBC Eastern Front war correspondent, suggests that the nuclear bombing of Japan mainly served to demonstrate the new weapon in the most shocking way, virtually at Russia's doorstep, in order to prepare the political post-war field. As American Christians, we are deeply penitent for the irresponsible use already made of the atomic bomb. We are agreed that, whatever be one's judgment of the war in principle, the surprise bombings of Hiroshima and Nagasaki are morally indefensible. During November 1944 American B-29s began their first incendiary bomb raids on Tokyo, and on 9 March 1945, wave upon wave dropped masses of small incendiaries containing an early version of napalm on the city's population—for they directed this assault against civilians. Soon small fires spread, connected, grew into a vast firestorm that sucked the oxygen out of the lower atmosphere. The bomb raid was a 'success' for the Americans; they killed 125,000 Japanese in one attack. The Allies bombed Hamburg and Dresden in the same manner, and Nagoya, Osaka, Kobe, and Tokyo again on May 24. The basic moral decision that the Americans had to make during the war was whether or not they would violate international law by indiscriminately attacking and destroying civilians, and they resolved that dilemma within the context of conventional weapons. Neither fanfare nor hesitation accompanied their choice, and in fact the atomic bomb used against Hiroshima was less lethal than massive fire bombing. The war had so brutalized the American leaders that burning vast numbers of civilians no longer posed a real predicament by the spring of 1945. Given the anticipated power of the atomic bomb, which was far less than that of fire bombing, no one expected small quantities of it to end the war. Only its technique was novel—nothing more. By June 1945 the mass destruction of civilians via strategic bombing did impress Stimson as something of a moral problem, but the thought no sooner arose than he forgot it, and in no appreciable manner did it shape American use of conventional or atomic bombs. "I did not want to have the United States get the reputation of outdoing Hitler in atrocities", he noted telling the President on June 6. There was another difficulty posed by mass conventional bombing, and that was its very success, a success that made the two modes of human destruction qualitatively identical in fact and in the minds of the American military. "I was a little fearful", Stimson told Truman, "that before we could get ready the Air Force might have Japan so thoroughly bombed out that the new weapon would not have a fair background to show its strength." To this the President "laughed and said he understood." During the war, and 1945 in particular, due to state secrecy, very little was known outside Japan about the slow progress of the Japanese nuclear weapon program. The US knew that Japan had requested materials from their German allies, and 560 kg (1,230 lb) of unprocessed uranium oxide was dispatched to Japan in April 1945 aboard the submarine U-234, which however surrendered to US forces in the Atlantic following Germany's surrender. The uranium oxide was reportedly labeled as "U-235", which may have been a mislabeling of the submarine's name; its exact characteristics remain unknown. Some sources believe that it was not weapons-grade material and was intended for use as a catalyst in the production of synthetic methanol to be used for aviation fuel. If post-war analysis had found that Japanese nuclear weapons development was near completion, this discovery might have served in a revisionist sense to justify the atomic attack on Japan. However, it is known that the poorly coordinated Japanese project was considerably behind the US developments in 1945, and also behind the unsuccessful German nuclear energy project of WWII. Journalist Wilcox's book describes the Japanese wartime atomic energy projects. This is laudable, in that it illuminates a little-known episode; nevertheless, the work is marred by Wilcox's seeming eagerness to show that Japan created an atomic bomb. Tales of Japanese atomic explosions, one a fictional attack on Los Angeles, the other an unsubstantiated account of a post-Hiroshima test, begin the book. (Wilcox accepts the test story because the author [Snell], "was a distinguished journalist"). The tales, combined with Wilcox's failure to discuss the difficulty of translating scientific theory into a workable bomb, obscure the actual story of the Japanese effort: uncoordinated laboratory-scale projects which took paths least likely to produce a bomb. Some historians have argued that while the first bomb might have been required to achieve Japanese surrender, dropping the second constituted a needless barbarism. However, the record shows otherwise. American officials believed more than one bomb would be necessary because they assumed Japanese hard-liners would minimize the first explosion or attempt to explain it away as some sort of natural catastrophe, which is precisely what they did. In the three days between the bombings, the Japanese minister of war, for instance, refused even to admit that the Hiroshima bomb was atomic. A few hours after Nagasaki, he told the cabinet that "the Americans appeared to have one hundred atomic bombs ... they could drop three per day. The next target might well be Tokyo." Jerome Hagen indicates that War Minister Anami's revised briefing was partly based on interrogating captured American pilot Marcus McDilda. Under torture, McDilda reported that the Americans had 100 atomic bombs, and that Tokyo and Kyoto would be the next atomic bomb targets. Both were lies; McDilda was not involved or briefed on the Manhattan Project and simply told the Japanese what he thought they wanted to hear. One day before the bombing of Nagasaki, the Emperor notified Foreign Minister Shigenori Tōgō of his desire to "insure a prompt ending of hostilities". Tōgō wrote in his memoir that the Emperor "warned [him] that since we could no longer continue the struggle, now that a weapon of this devastating power was used against us, we should not let slip the opportunity [to end the war] by engaging in attempts to gain more favorable conditions". The Emperor then requested Togo to communicate his wishes to the Prime Minister. Historian James J. Weingartner sees a connection between the American mutilation of Japanese war dead and the bombings. According to Weingartner both were partially the result of a dehumanization of the enemy. "[T]he widespread image of the Japanese as sub-human constituted an emotional context which provided another justification for decisions which resulted in the death of hundreds of thousands." On the second day after the Nagasaki bomb, President Truman had stated: "The only language they seem to understand is the one we have been using to bombard them. When you have to deal with a beast you have to treat him like a beast. It is most regrettable but nevertheless true". At the time of the atomic bombings, there was no international treaty or instrument protecting a civilian population specifically from attack by aircraft. Many critics of the atomic bombings point to the Hague Conventions of 1899 and 1907 as setting rules in place regarding the attack of civilian populations. The Hague Conventions contained no specific air warfare provisions but it prohibited the targeting of undefended civilians by naval artillery, field artillery, or siege engines, all of which were classified as "bombardment". However, the Conventions allowed the targeting of military establishments in cities, including military depots, industrial plants, and workshops which could be used for war. This set of rules was not followed during World War I which saw bombs dropped indiscriminately on cities by Zeppelins and multi-engine bombers. Afterward, another series of meetings were held at The Hague in 1922–23, but no binding agreement was reached regarding air warfare. During the 1930s and 1940s, the aerial bombing of cities was resumed, notably by the German Condor Legion against the cities of Guernica and Durango in Spain in 1937 during the Spanish Civil War. This led to an escalation of various cities bombed, including Chongqing, Warsaw, Rotterdam, London, Coventry, Hamburg, Dresden, and Tokyo. All of the major belligerents in World War II dropped bombs on civilians in cities. If the Hague Conventions is admitted as applicable, the critical question becomes whether the bombed cities met the definition of "undefended". Some observers consider Hiroshima and Nagasaki undefended, some say that both cities were legitimate military targets, and others say that Hiroshima could be considered a legitimate military target while Nagasaki was comparatively undefended. Hiroshima has been argued as not a legitimate target because the major industrial plants were just outside the target area. It has also been argued as a legitimate target because Hiroshima was the headquarters of the regional Second General Army and Fifth Division with 40,000 combatants stationed in the city. Both cities were protected by anti-aircraft guns, which is an argument against the definition of "undefended". The Hague Conventions prohibited poison weapons. The radioactivity of the atomic bombings has been described as poisonous, especially in the form of nuclear fallout which kills more slowly. However, this view was rejected by the International Court of Justice in 1996, which stated that the primary and exclusive use of (air burst) nuclear weapons is not to poison or asphyxiate and thus is not prohibited by the Geneva Protocol. The Hague Conventions also prohibited the employment of "arms, projectiles, or material calculated to cause unnecessary suffering". The Japanese government cited this prohibition on 10 August 1945 after submitting a letter of protest to the United States denouncing the use of atomic bombs. However, the prohibition only applied to weapons as lances with a barbed head, irregularly shaped bullets, projectiles filled with glass, the use of any substance on bullets that would tend unnecessarily to inflame a wounded inflicted by them, and the scoring of the surface or the soft point bullet filling off the ends of the hard cases of bullets. It did not apply to the use of explosives contained in artillery projectiles, mines, aerial torpedoes, or hand grenades. In 1962 and in 1963, the Japanese government retracted its previous statement by saying that there was no international law prohibiting the use of atomic bombs. The Hague Conventions stated that religious buildings, art and science centers, charities, hospitals, and historic monuments were to be spared as far as possible in a bombardment, unless they were being used for military purposes. 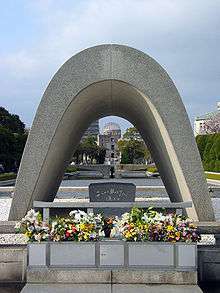 Critics of the atomic bombings point to many of these kinds of structures which were destroyed in Hiroshima and Nagasaki. However, the Hague Conventions also stated that for the destruction of the enemy's property to be justified, it must be "imperatively demanded by the necessities of war". Because of the inaccuracy of heavy bombers in World War II, it was not practical to target military assets in cities without damage to civilian targets. Even after the atomic bombs were dropped on Japan, no international treaty banning or condemning nuclear warfare has ever been ratified. The closest example is a resolution by the UN General Assembly which stated that nuclear warfare was not in keeping with the UN charter, passed in 1953 with a vote of 25 to 20, and 26 abstentions. Varying opinions exist on the question of what role the bombings played in Japan's surrender: some regard the bombings as the deciding factor, others see the bombs as a minor factor, and yet others assess their importance as unknowable. The mainstream position in the United States from 1945 through the 1960s regarded the bombings as the decisive factor in ending the war; commentators have termed this the "traditionalist" view, or pejoratively the "patriotic orthodoxy". Some, on the other hand, see the Soviet invasion of Manchuria as primary or decisive. In the US, Robert Pape and Tsuyoshi Hasegawa in particular have advanced this view, which some have found convincing, but which others have criticized. Military vulnerability, not civilian vulnerability, accounts for Japan's decision to surrender. Japan's military position was so poor that its leaders would likely have surrendered before invasion, and at roughly the same time in August 1945, even if the United States had not employed strategic bombing or the atomic bomb. Rather than concern for the costs and risks to the population, or even Japan's overall military weakness vis-a-vis the United States, the decisive factor was Japanese leaders' recognition that their strategy for holding the most important territory at issue—the home islands—could not succeed. In Japanese writing about the surrender, many accounts consider the Soviet entry into the war as the primary reason or as having equal importance with the atomic bombs, while others, such as the work of Sadao Asada, give primacy to the atomic bombings, particularly their impact on the emperor. The primacy of the Soviet entry as a reason for surrender is a long-standing view among some Japanese historians, and has appeared in some Japanese junior high school textbooks. The Japanese historian Sadao Asada argues that the ultimate decision to surrender was a personal decision by the emperor, influenced by the atomic bombings. A further argument, discussed under the rubric of "atomic diplomacy" and advanced in a 1965 book of that name by Gar Alperovitz, is that the bombings had as primary purpose to intimidate the Soviet Union, being the opening shots of the Cold War. Along these lines some argue that the US raced the Soviet Union and hoped to drop the bombs and receive surrender from Japan before a Soviet entry into the Pacific war. However, the Soviet Union, the US, and Great Britain came to an agreement at the Yalta Conference on when the Soviet Union should join the war against Japan, and on how the territory of Japan was to be divided at the end of the war. Others argue that such considerations played little or no role, the US being instead concerned with the defeat of Japan, and in fact that the US desired and appreciated the Soviet entry into the Pacific war, as it hastened the surrender of Japan. In his memoirs Truman wrote: "There were many reasons for my going to Potsdam, but the most urgent, to my mind, was to get from Stalin a personal reaffirmation of Russia's entry into the war against Japan, a matter which our military chiefs were most anxious to clinch. This I was able to get from Stalin in the very first days of the conference." Truman's disinclination to delay the second bombing brings the Soviet factor back into consideration. What the destruction of Nagasaki accomplished was Japan's immediate surrender, and for Truman this swift capitulation was crucial in order to preempt a Soviet military move into Asia. ... In short, the first bomb was dropped as soon as it was ready, and for the reason the administration expressed: to hasten the end of the Pacific War. But in the case of the second bomb, timing was everything. In an important sense, the destruction of Nagasaki—not the bombing itself but Truman's refusal to delay it—was America's first act of the Cold War. 1 2 Walker 2005, p. 334. ↑ "House of Commons Debate 16 August 1945: Debate on the Address". Hansard. Series 5, Vol. 413, cc. 70–133. Retrieved 8 April 2013. ↑ Ending the Pacific War: Harry Truman and the Decision To Drop the Bomb April 2009 http://www.fpri.org/footnotes/1404.200904.frank.trumanbomb.html Archived April 17, 2012, at the Wayback Machine. ↑ Allan Brooke: War Diaries 1939-1945. June 28. ↑ President Truman to James L. Cate, January 12, 1953. http://www.trumanlibrary.org/whistlestop/study_collections/bomb/small/mb18g.htm Archived December 3, 2008, at the Wayback Machine. 1 2 Maddox 2004, pp. 69–71. ↑ Frank 1999, pp. 135–7. ↑ Carroll 2006, p. 48. ↑ Skates, John Ray (2000). The Invasion of Japan: Alternative to the Bomb. University of South Carolina Press. p. 79. ISBN 1570033544. ↑ Newman 2004, p. 11. ↑ Frank 2004, pp. 133–4. ↑ The End of the Pacific War: Reappraisals. Stanford University Press. March 1, 2007. p. 89. ISBN 9780804754279. Retrieved 25 June 2013. 1 2 Correll, John T. (1994-03-15). "The Smithsonian and the Enola Gay". U.S. Air Force Association. Retrieved 2008-03-16. ↑ Burrell 2006, p. 83, talks about how many historians have overestimated the number Japanese defenders, with 20,000 and even 25,000 listed. Burrell puts the range between 18,061 and 18,591, with exactly 216 of these taken prisoner. The rest were KIA or MIA. ↑ "Battle for Iwo Jima, 1945". The Navy Department Library. 16 January 2008. ↑ Appleman et al. 2000, p. 36. ↑ Frank 1999, p. 163. This justification of "saving lives" was never used by Truman in the weeks following the strikes, and there was no need to: the American public viewed the nuclear attacks positively. It did surface years afterwards in his memoirs: during the interim, of course, questions had been raised about the necessity and morality of his decision to use atom bombs on Hiroshima and Nagasaki. See Miles 1985, p. 1: "Even when secret wartime documents were declassified, historians did not focus on the striking inconsistencies between these documents and those parts of the principal decision-makers' memoirs that dealt with estimates of lives saved." Miles, a veteran government official and former senior fellow of the Wilson Center, described the notion that Hiroshima saved 500,000 American military and numerous other deaths simply as a "myth". 1 2 Hanson, Victor Davis (2005-08-05). "60 Years Later: Considering Hiroshima". National Review. Retrieved 2008-03-24. ↑ Rhodes, Richard. "The Making of the Atomic Bomb". p 599. Simon & Schuster Paperbacks (1984) ISBN 0-684-81378-5. ↑ Frank 1999, p. 351; citing Irokawa, The Age of Hirohito: In Search of Modern Japan (1995), p. 37. ↑ "Curtis LeMay and his bombing strategy during World War II". Retrieved 21 December 2014. ↑ Brian M. Mazanec (November 1, 2015). Evolution of Cyber War: International Norms for Emerging-Technology Weapons. Potomac Books. p. 96. ISBN 1612-3476-30. ↑ "Hiroshima Before the Bombing". Hiroshima Peace Memorial Museum. Retrieved 2008-03-16. ↑ Bix 2000, p. 676; Dower 1998, p. 606. ↑ Allen & Polmar 1995, pp. 266–70. ↑ "Emperor Hirohito, Accepting the Potsdam Declaration, Radio Broadcast.". 14 August 1945. Retrieved 9 July 2007. 1 2 Frank, Richard B. (2005-08-08). "Why Truman Dropped the Bomb". The Weekly Standard. 010 (44). Retrieved 2008-03-16. ↑ Bix 2000, p. 512. ↑ Bix 2000, p. 513. ↑ "Between: Naotaki Sato, Japanese Ambassador to the Soviet Union and Togo Shigenori, Japanese Minister of Foreign Affairs (Togo)". Nuclear Age Peace Foundation. Retrieved 25 June 2013. ↑ Gruhl 2007, p. 215; Lee 2001, p. 521; Wainstock 1996, p. 71; Lynn 2008, 209. ↑ Rising, Gerry (2001-11-08). "Book review: Downfall [by Richard B. Frank, 1999]". ArtVoice of Buffalo. Retrieved 2008-03-16. ↑ Maddox 2004, p. xvii. ↑ Frank 1999, p. 331. ↑ Toland 2003, p. 807. ↑ Kristof, Nicholas D. (5 August 2003). "Blood On Our Hands?". nytimes.com. Retrieved 9 June 2012. ↑ Gentile 2000, p. 116. ↑ Gentile 2000, p. 115: "Paul Nitze recalled in his memoirs that he believed in July 1945 that Japan would surrender [in a matter of months] 'even without the atomic bomb.' ... It was natural for Nitze to begin his analysis with a hypothesis concerning the effects of the atomic bombs on ending the war with Japan. Yet Nitze remained committed to that notion even when the evidence—the interrogations of Japanese officials—did not reasonably support his conclusions. And Nitze's bold statement that his conclusions on why Japan surrendered were based on 'all the facts', after a mere three months of evidence gathering, stretches the limits of believability." ↑ Newman, Robert P. (2004-08-02). "Remember the Smithsonian's Atomic Bomb Exhibit? You Only Think You Know the Truth". History News Network. George Mason University. Retrieved 2008-08-06. ↑ Eisenhower 1963, pp. 312–3. ↑ Norman Cousins writes, "When I asked General MacArthur about the decision to drop the bomb, I was surprised to learn he had not even been consulted. What, I asked, would his advice have been? He replied that he saw no military justification for the dropping of the bomb. The war might have ended weeks earlier, he said, if the United States had agreed, as it later did anyway, to the retention of the institution of the emperor." See Cousins 1987, pp. 65, 70–71. 1 2 Gar Alperovitz (6 August 2015). "The War Was Won Before Hiroshima—And the Generals Who Dropped the Bomb Knew It". The Nation. Retrieved 31 May 2016. 1 2 Hasegawa 2005, p. 298. ↑ Hasegawa 2005, p. 170. ↑ Hasegawa 2005, p. 162. ↑ Hasegawa 2005, chapter 6–7. ↑ Boyle 2002, p. 58. ↑ Cumings 1999, p. 54; Sherwin 1974. ↑ Walzer, Michael (2002). "Five Questions About Terrorism" (PDF). Dissent Magazine. Foundation for the Study of Independent Social Ideas, Inc. 49 (1). Retrieved 2016-05-23. ↑ Newman 2004, pp. xiv–xv. 1 2 Harbour 1999, p. 133ff. ↑ Wilkins 1992, p. 11. ↑ Nassar 2009, p. 30. ↑ Falk, Richard (28 January 2004). "Gandhi, Nonviolence and the Struggle Against War". The Transnational Foundation for Peace and Future Research. Retrieved 2013-02-20. ↑ Falk 2003, p. 45. ↑ Russia At War, 1941-1945. London: Barrie & Rockliff, 1964. ↑ "Vatican Regrets Inventors Did Not Destroy Bomb". The Miami News. Associated Press. August 7, 1945. pp. 1–A. Retrieved August 22, 2013. ↑ Boyd & Yoshida 2002, p. 164. ↑ Maga, Timothy P. (2001). Judgment at Tokyo: the Japanese War Crimes Trials. University Press of Kentucky. pp. 51–52. ISBN 0-8131-2177-9. ↑ Snell, David (3 October 1946). "Japan Developed Atom Bomb; Russia Grabbed Scientists". Atlanta Constitution. ↑ Home, R.W. ; Low, Morris F. (September 1993). "Postwar Scientific Intelligence Missions to Japan". Isis. 84 (3): 527–537. doi:10.1086/356550. ↑ Sherwin 2003, p. 237. ↑ Cumings 1999, p. 54. ↑ Togo, Shigenori: The Cause of Japan, page 315. Simon & Schuster, 1956. ↑ Weingartner 1992, p. 67. ↑ Weingartner 1992, p. 54. 1 2 Javier Guisández Gómez (June 30, 1998). "The Law of Air Warfare". International Review of the Red Cross (323): 347–363. Retrieved June 21, 2013. 1 2 Elmar Rauch (1984). "The Protocol Additional to the Geneva Conventions for the Protection of Victims of International Armed Conflicts and the United Nations Convention on the Law of the Sea: Repercussions on the Law of Naval Warfare". Veröffentlichungen des Instituts für Internationales Recht an der Universität Kiel. Berlin: Duncker & Humblot. 90: 67. ISBN 3-428-05703-1. ↑ Newman 2011, pp. 121–5. ↑ Axinn 1986, p. 277. ↑ John Burroughs (November 17, 1997). The legality of Threat Or Use of Nuclear Weapons: A Guide to the Historic Opinion of the International Court of Justice. Lit Verlag. pp. 24–25. ISBN 3-8258-3516-2. Retrieved 23 June 2013. ↑ Haralambos Athanasopulos (February 2000). Nuclear Disarmament in International Law. McFarland & Company. pp. 163–164. ISBN 0-7864-0587-2. Retrieved 23 June 2013. ↑ "The Opinion of the International Court of Justice on the legality of the use of nuclear weapons". International Committee of the Red Cross. Retrieved 23 June 2013. 1 2 Antonio Cassese (August 30, 2008). The Human Dimension of International Law: Selected Papers of Antonio Cassese. Oxford University Press. p. 178. ISBN 0-1992-3291-1. Retrieved 17 October 2013. ↑ Bevan, Robert (2007). The Destruction of Memory: Architecture at War. Reaktion Books. pp. 270–271. ISBN 9781861896384. 1 2 Sienho Yee, ed. (May 20, 2004). International Crime And Punishment: Selected Issues, Volume 2. University Press of America. p. 94. ISBN 0-7618-2887-7. Retrieved 24 June 2013. ↑ Michael Bess (March 11, 2008). Choices Under Fire: Moral Dimensions of World War II. Vintage Books. p. 97. ISBN 0-3072-7580-9. Retrieved 24 June 2013. ↑ Alan Axelrod (June 14, 2011). The Real History of World War II: A New Look at the Past. Sterling Publishing. p. 301. ISBN 1-4027-7999-2. Retrieved 24 June 2013. ↑ Robin Havers (July 24, 2003). The Second World War (2): Europe 1939-1943. Routledge. p. 70. ISBN 0-4159-6846-1. Retrieved 24 June 2013. ↑ Gaddis 2005, p. 50: "[Hiroshima and Nagaski] brought about the Japanese surrender". 1 2 Frank, Richard B. (2005-08-08). "Why Truman Dropped the Bomb". The Weekly Standard. 010 (44). .
↑ Wilson, Ward (2007). "The Winning Weapon? : Rethinking Nuclear Weapons in Light of Hiroshima" (PDF). International Security. 31 (4): 163–164. doi:10.1162/isec.2007.31.4.162. ISSN 1531-4804. Retrieved 2015-08-31. From the Japanese perspective, the Soviet invasion of Manchuria and other Japanese-held territory was the event that dramatically changed the strategic landscape and left Japan with no option but to surrender unconditionally. The Hiroshima bombing was simply an extension of an already fierce bombing campaign. ↑ Dominick Jenkins (August 6, 2005). "The bomb didn't win it". The Guardian. London. Retrieved 2008-03-23. Alperovitz's thesis met with disagreement from across the spectrum, though subsequent research did confirm key parts of it. See Walker 1996, p. 13ff. ↑ Craig & Logevall 2009, pp. 55–6. Allen, Thomas; Polmar, Norman (1995). Code-Name Downfall: The Secret Plan to Invade Japan—And Why Truman Dropped the Bomb. New York, NY: Simon & Schuster. ISBN 978-0-684-80406-4. Alperovitz, Gar (2004) . Atomic Diplomacy: Hiroshima and Potsdam (2nd ed.). New York, NY: Simon & Schuster. ISBN 978-0-745-30947-7. Anders, Roger M. (1986). "Military Library: Nuclear America by Gerard H. Clarfield and William M. Wiecek; Japan's Secret War by Robert K. Wilcox". Military Affairs. 50 (1): 56–57. JSTOR 1988558. Bess, Michael (2006). Choices Under Fire: Moral Dimensions of World War II. New York, NY: Knopf. ISBN 978-0-307-26365-0. ——— (2000). Hirohito And The Making Of Modern Japan. London: Gerald Duckworth. ISBN 978-0-715-63077-8. Chomsky, Noam (1967a). "The Responsibility of Intellectuals". The New York Review of Books. 8 (3). Retrieved 2 December 2013. Chomsky, Noam (1967b). "An Exchange on 'The Responsibility of Intellectuals' ". The New York Review of Books. 8 (7). Retrieved 2 December 2013. Cousins, Norman (1987). The Pathology of Power. New York, NY: W. W. Norton & Company. ISBN 978-0-393-02378-7. Dower, John W. (1995). "The Bombed: Hiroshima and Nagasaki in Japanese Memory". Diplomatic History. 19 (2). ——— (1998). Embracing Defeat: Japan in the Wake of World War II. New York, NY: W. W. Norton. ISBN 978-0-393-04686-1. Eisenhower, Dwight D. (1963). The White House Years; Mandate For Change: 1953–1956. New York, NY: Doubleday & Company. Frank, Richard B. (1999). Downfall: The End of the Imperial Japanese Empire. New York, NY: Random House. ISBN 978-0-679-41424-7. Frank, Richard B. (2004). "President Harry S. Truman's Farewell Address and the Atomic Bomb: The High Price of Secrecy". In Richard Stewart Kirkendall, ed., Harry's Farewell: Interpreting and Teaching the Truman Presidency (pp. 105–142). Columbia, MO: University of Missouri Press. ISBN 978-0-826-21552-9. Gentile, Gian P. (2000). How Effective is Strategic Bombing? : Lessons Learned from World War II to Kosovo. New York, NY: New York University Press. ISBN 978-0-814-73135-2. Groves, Leslie (1962). Now it Can be Told: The Story of the Manhattan Project. New York, NY: Harper & Row. ISBN 0-306-70738-1. OCLC 537684. Home, R. W.; Low, Morris F. (1993). "Postwar Scientific Intelligence Missions to Japan". Isis. 84 (3): 527–537. doi:10.1086/356550. JSTOR 235645. Kazemek, Francis E. (1994). "'Two Handfuls of Bone and Ash': Teaching Our Children about Hiroshima". Phi Delta Kappan. 75 (7): 531–534. JSTOR 20405161. Kort, Michael (2006). "Racing the Enemy: A Critical Look". Historically Speaking. 7 (3). Leahy, William D. (1950). I was there. New York, NY: McGraw Hill Book Company. Lee, Bruce (2001). Marching Orders: The Untold Story Of World War II. New York, NY: Da Capo Press. ISBN 978-0-306-81036-7. Levering, Ralph B. (2007). "Book Review: Racing the Enemy by Tsuyoshi Hasegawa". Journal of American History. 94 (1): 329. JSTOR 25094908. Lynn, John A. (2008). Battle: A History of Combat and Culture. New York, NY: Basic Books. ISBN 978-0-813-33372-4. Maddox, Robert James (1995). "The Biggest Decision: Why We Had to Drop the Atomic Bomb". American Heritage. 46 (3). Retrieved 1 June 2012. Miles, Rufus E. (1985). "Hiroshima: The Strange Myth of Half a Million American Lives Saved". International Security. 10 (2): 121–140. JSTOR 2538830. Miscamble, Wilson D. (2011). The Most Controversial Decision: Truman, the Atomic Bombs, and the Defeat of Japan. New York, NY: Cambridge University Press. ISBN 978-0-521-51419-4. Newman, Robert P. (2004). Enola Gay and the Court of History. New York, NY: Peter Lang. ISBN 978-0-820-47457-1. Oppenheimer, J. Robert (1948). "Physics in the contemporary world". Bulletin of the Atomic Scientists. 4 (3): 65–68, 85–86. Pape, Robert A. (1993). "Why Japan Surrendered". International Security. 18 (2): 154–201. JSTOR 2539100. Rice, Sarah (2005). "Book Notes: The Genocidal Temptation: Auschwitz, Hiroshima, Rwanda and Beyond by Robert S. Frey, ed.". Harvard Human Rights Journal. 18: 289ff. Sherwin, Martin (1974). A World Destroyed: The Atomic Bomb and the Grand Alliance. New York, NY: Random House. ISBN 978-0-394-49794-5. Stohl, Michael (1988). "National Interests and State Terrorism in International Affairs". In Michael Stohl, ed., The Politics of Terrorism (pp. 273–294) (3rd ed.). New York, NY: Marcel Dekker. ISBN 978-0-824-77814-9. Toland, John (2003) . The Rising Sun: The Decline and Fall of the Japanese Empire, 1936–1945. New York, NY: Modern Library. ISBN 978-0-812-96858-3. Walker, J. Samuel (2005). Recent Literature on Truman's Atomic Bomb Decision: A Search for Middle Ground. Diplomatic History. 29. pp. 311–334. doi:10.1111/j.1467-7709.2005.00476.x. Weingartner, James J. (1992). "Trophies of War: U.S. Troops and the Mutilation of Japanese War Dead, 1941–1945". Pacific Historical Review. 61 (1): 53–67. JSTOR 3640788. Wilkins, Burleigh Taylor (1992). Terrorism and Collective Responsibility. Routledge. ISBN 0-415-04152-X. Wilson, Ward (2007). "The Winning Weapon? Rethinking Nuclear Weapons in the Light of Hiroshima" (PDF). International Security. 31 (4): 162–179. doi:10.1162/isec.2007.31.4.162. Wolk, Herman S. (2010). Cataclysm : General Hap Arnold and the Defeat of Japan. Denton, Texas: University of North Texas Press. ISBN 978-1-57441-281-9. Allen, Thomas B.; Polmar, Norman (1995). Code-Name Downfall: The Secret Plan to Invade Japan And Why Truman Dropped the Bomb. Simon & Schuster. ISBN 0-684-80406-9. Alperovitz, Gar (1995). The Decision To Use The Atomic Bomb And The Architecture Of An American Myth. Knopf. ISBN 0-679-44331-2. Bernstein, Barton J. (Editor) (1976). The Atomic Bomb: The Critical Issues. Little, Brown. ISBN 0-316-09192-8. Bird, Kai; Sherwin, Martin J. (2005). American Prometheus: The Triumph and Tragedy of J. Robert Oppenheimer. Knopf. ISBN 0-375-41202-6. Butow, Robert (1954). Japan's Decision to Surrender. Stanford University Press. ISBN 0-8047-0460-0. Frank, Richard B. (1999). Downfall: The End of the Imperial Japanese Empire. Random House. ISBN 0-679-41424-X. Grayling, A. C. (2006). Among the Dead Cities. Walker Publishing Company Inc. ISBN 0-8027-1471-4. Argues that the bombs were not the deciding factor in ending the war. The Russian entrance into the Pacific war was the primary cause for Japan's surrender. Here he sharpens his earlier view that the Russian entrance into the Pacific war was the primary cause for Japan's surrender. Maddox, Robert James (1995). Weapons for Victory: The Hiroshima Decision. University of Missouri Press. ISBN 0-8262-1562-9. Newman, Robert P. (1995). Truman and the Hiroshima Cult. Michigan State University Press. ISBN 0-87013-403-5. Nobile, Philip (Editor) (1995). Judgement at the Smithsonian. Marlowe and Company. ISBN 1-56924-841-9. Takaki, Ronald (1995). 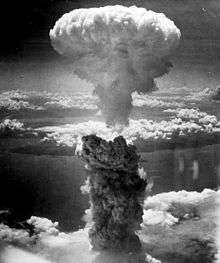 Hiroshima: Why America Dropped the Atomic Bomb. Little, Brown. ISBN 0-316-83124-7. MacLaren, Don (1998). "Troubling memories of the past", "Better to bomb than blockade". The Japan Times.